Yesterday January 14th Italian Civil Aviation Authority Inspector Capt. Laureti was in Calcinate for a series of Gliders Pilot License skill tests. We welcome the pilots who passed with flying colours; Paolo Mancini, Davide Mocchiutti and Andrea Moschini and wish them much soaring accomplishments. 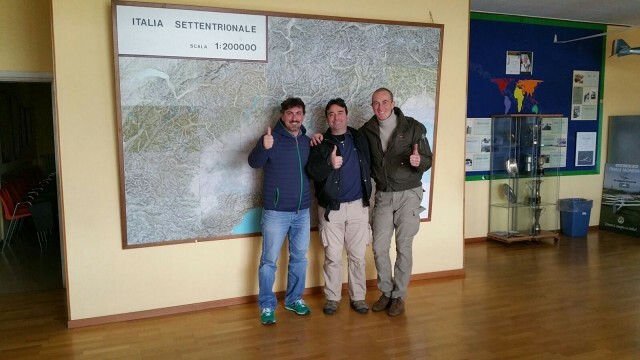 Special thanks to Alberto Albertazzi who saw them to the exam and to fellow Flight Instructors Antonio Mansi, Antonio Ghelfi, Martin Lobert and Luca Tolomei for their involvement and dedication during the training period. Good luck to the fledgeling pilots !